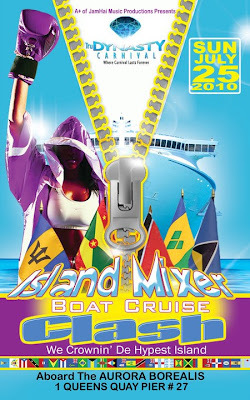 TruDYNASTY'S ISLAND MIXER BOAT CLASH!! Calling all Lucians, Grenadians, Trini's, Vincy's and de Bajan posse. This is your time!!! 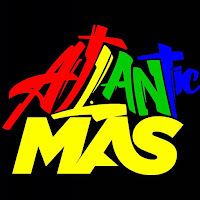 With special extended Groovy and Uptempo musical selections from these islands, we having a Clash for the ages. Start your Caribana week off with a Bang. Not from those countries? It's all good, we got you covered. We will be playing music from all islands. We wanna know and see which islands' crew Gets on de Baddest for real. For years this has been hotly debated. Bring your National COLOURS and lets JAM UP!!! On July 25th We will see who stands tallest. Come in peace. Let's Enjoy, respect and appreciate what each Island has to offer. Remember, we are one Nation! With that said, let's "PARTY HARD"
TruDYNASTY SPECIAL: you pay only 25$ if you are already registered to play mas with TruDYNASTY or were on our highly enjoyable and successful trip to Atlanta, Georgia. (only 1st 50 ppl to buy a ticket from us directly). Also Complimentary drink to first 50 people on Board!!!!!!!! !